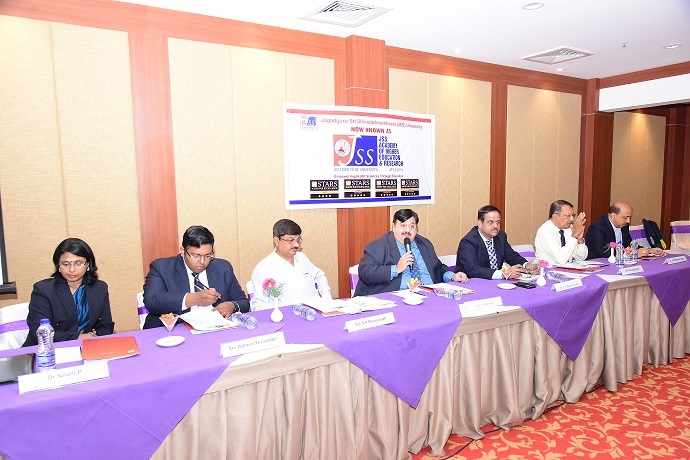 JSS Academy of Higher Education & Research, Mysuru (Previously known as JSS University) has been awarded QS 4-Stars rating in a recently concluded audit by QS Quacquarelli Symonds from the UK. The QS Stars rating evaluates universities across a wide range of important performance indicators as set against pre-established international standards. 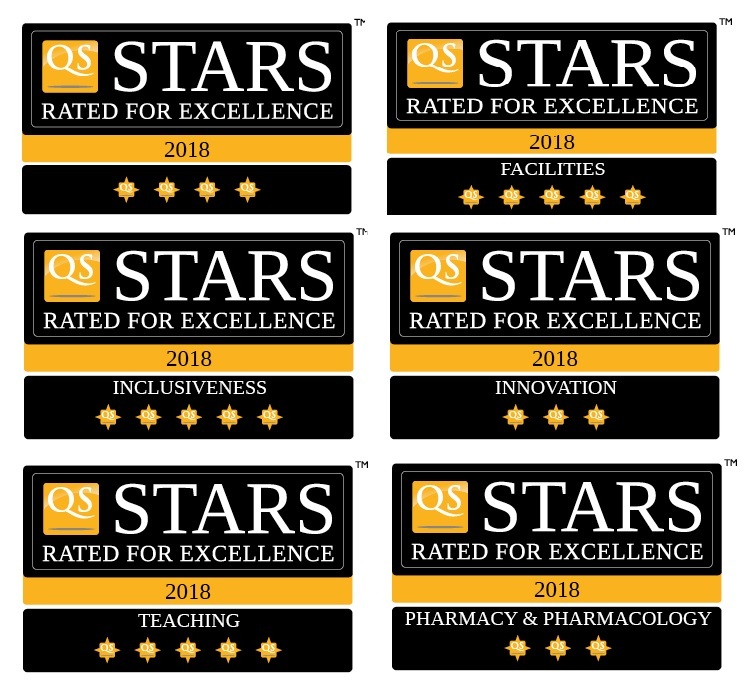 By covering a broader range of criteria than any world ranking exercise, QS Stars shines a light on both the excellence and the diversity of the rated institution. 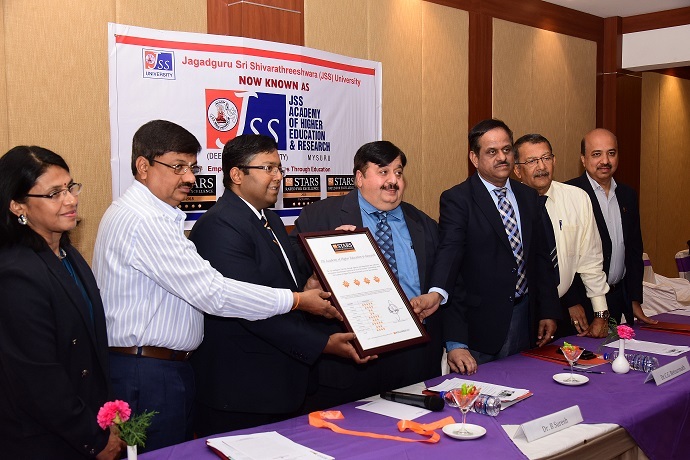 JSS Academy of Higher Education & Research received the award at a press meet held on Friday, 23 February, where Mr Ashwin Fernandes, Regional Director for QS in South Asia presented the certificate to Dr B Suresh, Vice Chancellor of JSS. With the conclusion of this audit, JSS has joined the elite club of highly rated universities in the world. 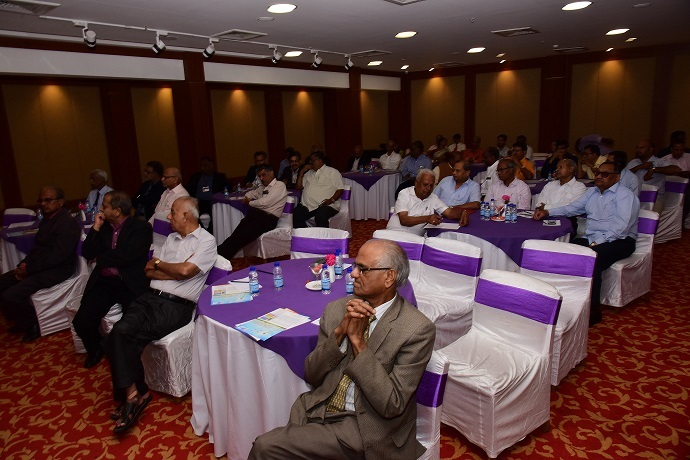 It is also the first institution in the state of Karnataka to receive this recognition. Quacquarelli Symonds (QS) from the UK, founded in 1990, is the world’s leading network for top careers and education. QS is also considered as the most trusted independent source of global intelligence on the higher education sector. The QS Stars evaluation is a comprehensive audit which has rated over 280 universities in over 50 countries. It is one of the most recognised international evaluations of universities, which has been designed to look at the institution at a deeper level. The QS Stars audit evaluates an institution in over 50 different indicators, and awards universities between 1 and 5 stars plus, overall as well in categories. The ratings once conducted are valid for three years. The target audience of the audit results are prospective students, to help them get a wider picture of an institution’s qualities, looking at everything from the employability of graduates, to sports facilities and community engagement. It is designed to reflect the nuanced mission of universities, and the needs of students who may be interested in things other than those to which traditional rankings are necessarily limited. JSS Academy of Higher Education & Research completed the audit to the satisfaction of QS analysts who studied data over a period of 6 months, to conclude that JSS Academy of Higher Education & Research has met the set standards to be awarded 4 Stars overall, as well as 5 Stars in 3 categories, namely Teaching, Facilities and Inclusiveness. It also received a top rating in India for the subject “Pharmacy” with 3 stars.